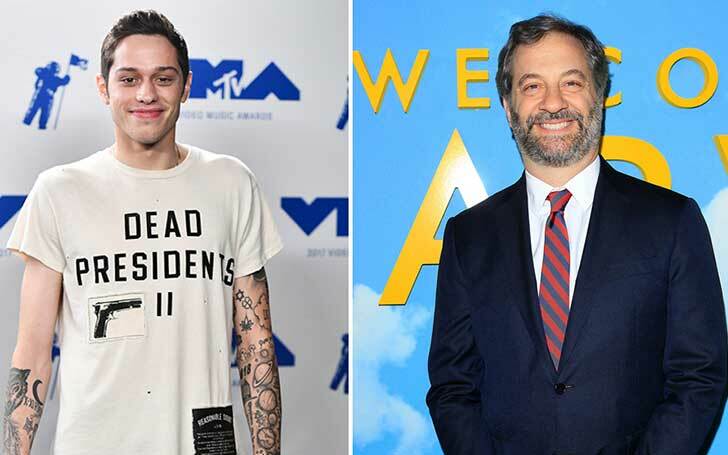 SNL's Pete Davidson teams up with Judd Apatow on a new comedy project. Comedian star Pete Davidson surely went through some troubled period for the past few months. But as they say, there can't be a rainbow without rains. Davidson, one of the youngest comedian to join NBC's Saturday Night Live prepares to work with director Judd Apatow on an untitled semi-autobiographical comedy, prior to his fresh release Big Time Adolescence debut at Sundance Film festival just two days earlier. The new Universal Pictures project said to be a semi-autobiographical will reportedly address a storyline of Davidson's real-life struggles, more specifically including his mental health, drug addiction, and rehab. Alongside, Apatow and Davidson, Dave Sirus will also write the project. Pete, now 25 started working for SNL from the age of 20 as one of its youngest staff. He grew up in Staten Island, New York and lost his firefighter father at the age of seven in the 9/11 incident. The rising star fairly opens that his father's death developed his sense of humor and shaped him into becoming a stand-up comedian at the age of 16. This project will be Apatow's sixth project for Universal including his previous hits like Knocked Up and The 40 Year Old Virgin. Universal Production for this project will start this summer either in May or June in New York City. Pete Davidson's latest release includes Paramount Pictures new comedy What Men Want which hits the theatre on 8th Feb.